Happy Anniversary wishes, messages, and greetings ideas to help you to express your congratulations on this special occasion. An anniversary gives you the opportunity to reflect on your relationship, thank your partner for their love and support, and celebrate the wonderful moments and experiences you've shared together. If you're congratulating your parents or friends, an anniversary greeting message provides an opportunity to tell them why they are so wonderful, and to wish them well on their special day. But sometimes it's hard to put our feelings into words! So here is a collection of wedding anniversary wishes, messages, and greetings that we think will help you express your love and appreciation on this special occasion. I've grouped our collection of anniversary wishes into various categories below. You can click on a link to see a specific section, or scroll down the page to read them all. In this section you'll find a large collection of anniversary wishes and greetings that are from the heart. Use them as inspiration for your own message to your partner. You can use them on their own, or in combination. Wishing you a very Happy Anniversary! Thank you for so many wonderful years of happiness and adventure. I can't wait to find out what the future holds for us! I know it's going to be amazing with you by my side. You still take my breath away. I can't imagine living my life without you by my side. Happy Anniversary to the most amazing [wife/husband] in the world. I love you! Happy Anniversary to my sweetheart and best friend. 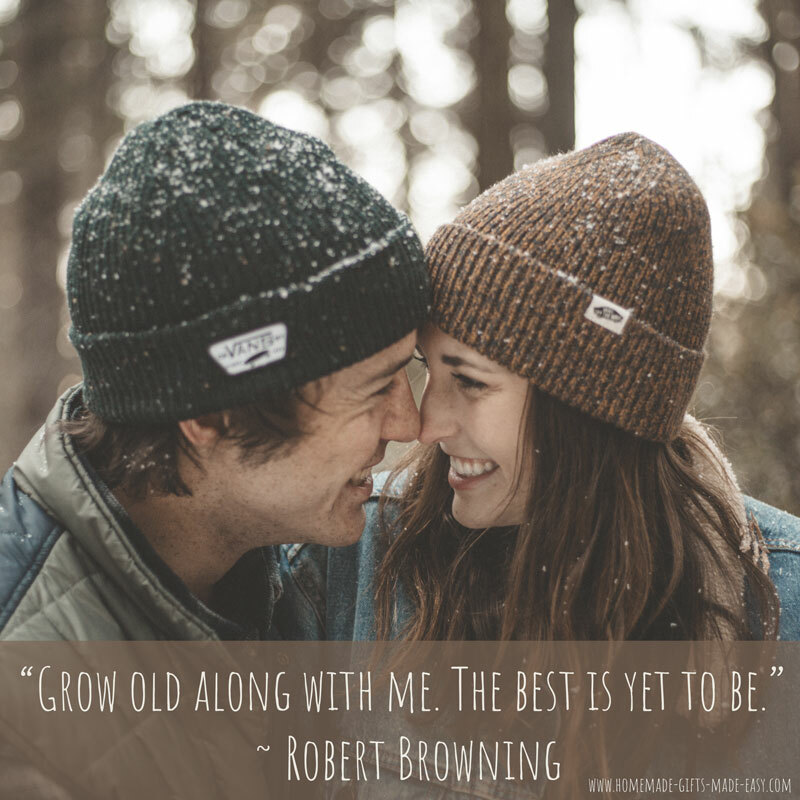 I treasure the years we have spent together and am looking forward to what the future holds for us. It's so much fun with you by my side! Walking down the aisle with you was incredible, but it's even better to walk with you through life. You're such a special person and I am so lucky to call you my [wife/husband]. Happy Anniversary! Every love story is beautiful, but ours is my favorite. I can't wait to see what the next chapter holds in store for us. Happy Anniversary, and here's to the future together! After all this time, you're still incredible. Happy Anniversary to my amazing [wife/husband]. Happy Anniversary to my darling [wife/husband]. Thank you for the last (insert number) years, and looking forward to the many more to come. I love you! Warmest wishes and lots of kisses on our special Anniversary. Happy Anniversary to my darling [wife/husband]. You are my everything. I love you today and always. I'm so lucky to have you as my [wife/husband]. Thank you for all that you do. Happy Anniversary! We've had so many amazing years together and have created some fantastic memories. What a great day it was when we walked down the aisle and started this adventure. Wishing you a very Happy Anniversary, and looking forward to many more amazing times together. I'd get down on my knee all over again for you. I just can't promise I could get up again. Happy Anniversary to my darling wife! A selection of anniversary wishes, quotes, poems, and sayings you can use as part of an anniversary card message. I've included ideas for a personalized message below each quote. Happy Anniversary to my darling [wife/husband]. Thank you for all that you do for our family and for me. I am so blessed to have you by my side as we grow old together. I love you! I love you for the part of me that you bring out." Happy Anniversary! You are such an amazing person and I'm so blessed to call you my [wife/husband]. And what a ride we've had! Thank you for a fantastic marriage, and looking forward to our future years together. Happy Anniversary! "Marriage is a mosaic you build with your spouse. Millions of tiny moments that create your love story." And what a beautiful love story we're writing together. Thank you for being such an amazing [wife/husband] and partner in life. I love you! Happy Anniversary! "Enjoy the little things in life... For one day you'll look back and realize they were the big things." 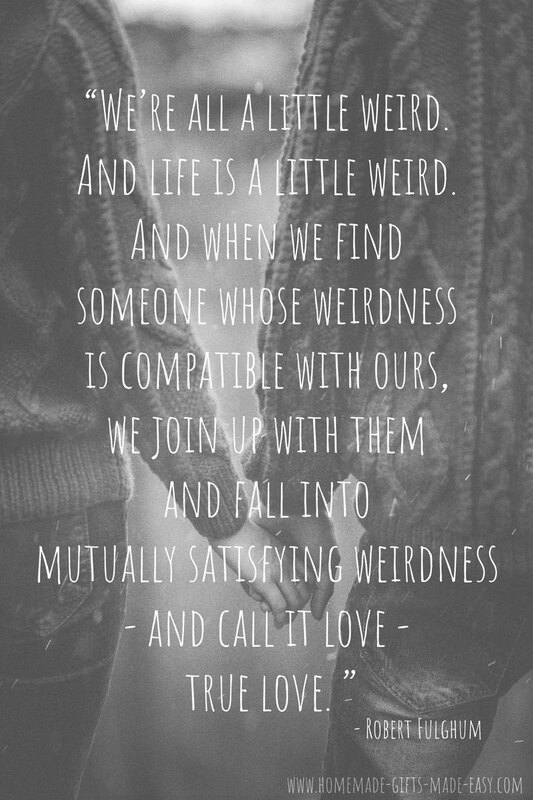 And here we are many years into our married life, and I completely agree with this statement. It's the day-to-day simple moments of laughter and fun that makes our marriage so special. I look forward to creating many more special memories together as we walk through life. Thank you for all you do to make each day so wonderful. Happy Anniversary! It's hard to believe we've been married (insert number of) years, it has gone by so quickly! What an amazing journey we've been on, I'm so blessed to travel this road with you by my side. Happy Anniversary! Happy Anniversary to my weird and wonderful [wife/husband]! I love you! I'm so blessed to share the joys of life with you. You are such a wonderful companion in life. Happy Anniversary! "One thing you learn in a long marriage is how many sneezes to wait before saying, 'Bless you'." Three sneezes...! Happy Anniversary to my fabulous [wife/husband]. I love you to the moon and back! Happy Anniversary to my darling [wife/husband]. Thinking fondly of the day we said "I do" and all the adventures that we have shared since. I love you! My best friend and my wife, I couldn't have wished for more. I love you so much. Happy Anniversary! And what an incredible (insert number of) years we have shared so far. I feel so blessed to be standing next to you as we journey through life together. Happy Anniversary! "The sweet companionship of eternal marriage is one of the greatest blessings God has granted to His children." Every day I feel so blessed to call you my [wife/husband]. Happy Anniversary! I am so thankful God chose you for me. Happy Anniversary! You really are the best (husband/wife) in the world! Happy Anniversary to my best friend and soul-mate. "Love is friendship set on fire and you are my spark." Happy Anniversary to my beautiful, clever, funny, darling [wife/husband]. I love you! Happy Anniversary to my incredible [wife/husband]. I feel so happy and blessed to be married to you. Thank you for everything you do. "It's been said that you only truly fall in love once, but I don't believe it. Every time I see you, I fall in love all over again." Happy Anniversary to my wonderful [wife/husband]. I love you! Happy Anniversary to my soul mate and best friend. I love sharing my days with you, and I hope we are blessed with many more years together. "Each day I love you more. Today more than yesterday, and less than tomorrow. " Happy Anniversary! Thank you for all the wonderful days we've shared, and here's to many more wonderful days ahead. I love you! Happy Anniversary to my (beautiful wife/darling husband). I love you to the moon and back again! "A great marriage is not when the perfect couple comes together. It is when an imperfect couple learns to enjoy their differences." Despite our differences, you really are the perfect match for me! I love you so dearly and look forward to many more years creating wonderful memories together. Happy Anniversary! Thank you for being an amazing [husband/wife], and taking such good care of me and our children. Happy Anniversary! 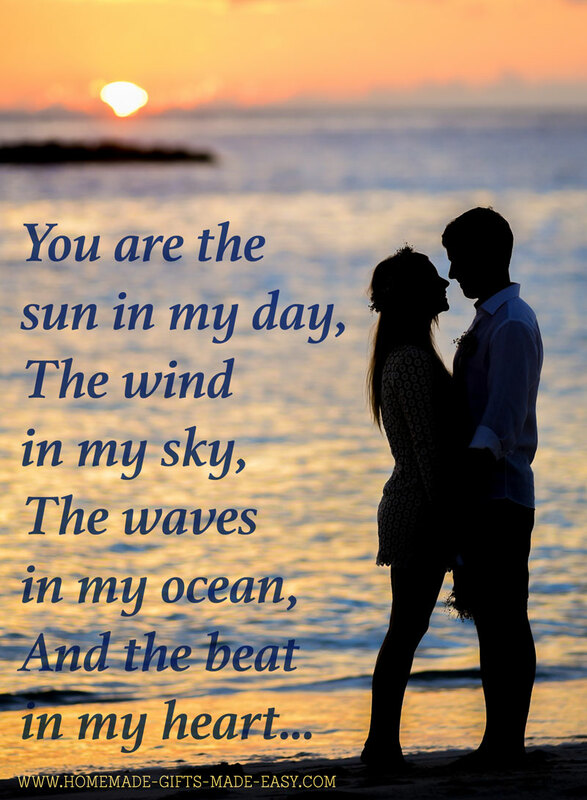 In this section you'll find anniversary wishes for your partner inspired by beautiful poems, short enough to include in a Happy Anniversary greeting card message. Happy Anniversary to my wonderful [wife/husband]. Here's to many more years together sharing life and love. Happy Anniversary to my beautiful wife, I love you so much. Happy Anniversary to my (beautiful wife/darling husband). Thank you for everything you do in our marriage. I love you! Happy Anniversary to my darling [wife/husband]. I love you so very much. Happy Anniversary to my amazing [wife/husband]. Here's to many more happy years ahead! Happy Anniversary! You make my world go 'round. 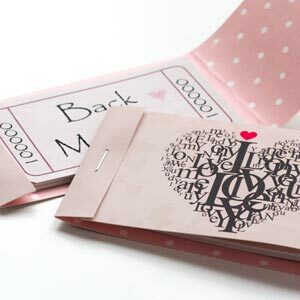 In this section you'll find lots of message ideas for how to congratulate a special couple on their anniversary. Use them as a starting point to write your own anniversary wishes. The first section are greeting card messages, and there are a small number of anniversary wishes based on quotes at the end. To old memories and ones yet to make. Congratulations and many good wishes on your anniversary! Happy (insert number) Anniversary! May the cherished memories of the years you have shared make this anniversary a wonderful celebration. Congratulations! Wishing you a very Happy Anniversary and may your future years together be full of blessings. Congratulations on your wedding anniversary. We wish you much joy on this special occasion. With many good wishes on this special occasion. Congratulations! Congratulations on your anniversary! We wish you all the happiness in the world for your special day. With best wishes to you both on your anniversary. May your day be very special and your future years be full of joy. Sending you many good wishes on your anniversary. May it be a very special day full of lovely recollections of the happiness you've shared over the years. Happy Anniversary to a very lovely couple. Wishing you a beautiful day together, and lots of love and happiness now and always. Best wishes to you on your anniversary! Bravo! Wishing you many blessings on your special wedding anniversary. Congratulations! Sending many good wishes to you both on your wedding anniversary! May you have a lovely day and many more years of wedded bliss! Sending you our warmest wishes on this special occasion. Happy Anniversary! Happy Anniversary to a very special couple who have figured out the perfect recipe to wedded bliss. Wishing you a wonderful anniversary and many more years of happiness in marriage. Happy Anniversary to a perfect couple on your 25th wedding anniversary. Wishing you many more years of wedded bliss together. We hope you enjoyed our collection of Happy Anniversary wishes, messages and greetings! 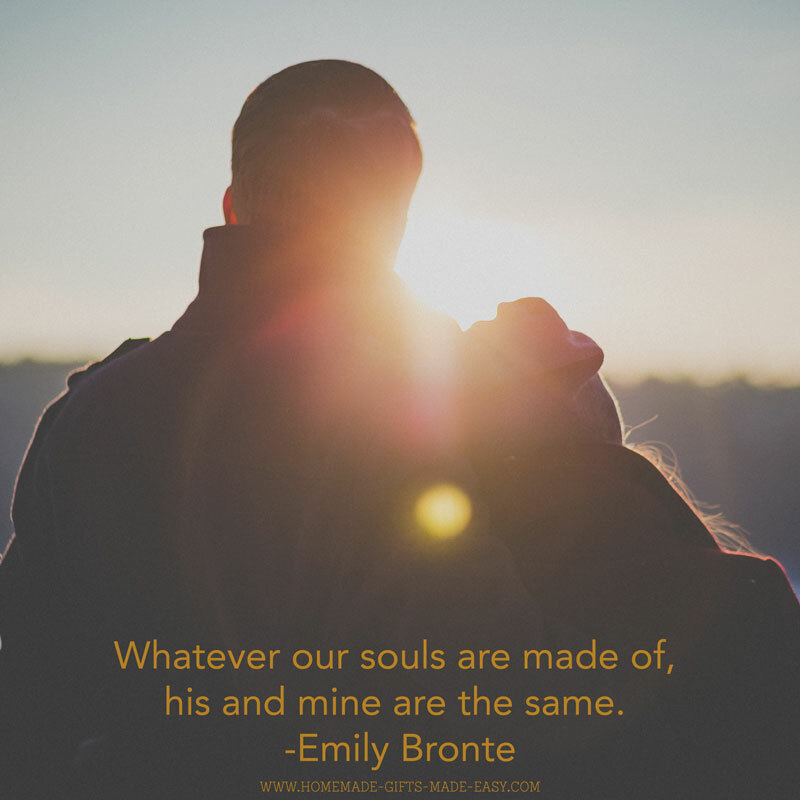 Do take a look at our wedding anniversary poems and verses, and wedding anniversary quotes and sayings pages for more anniversary wishes inspiration. Looking for an amazing gift? Create a personalized anniversary gift for the special person in your life with our beautiful personalized posters and love vouchers. Easy to edit and print, they're a unique gift that your partner will be amazed you made just for them!